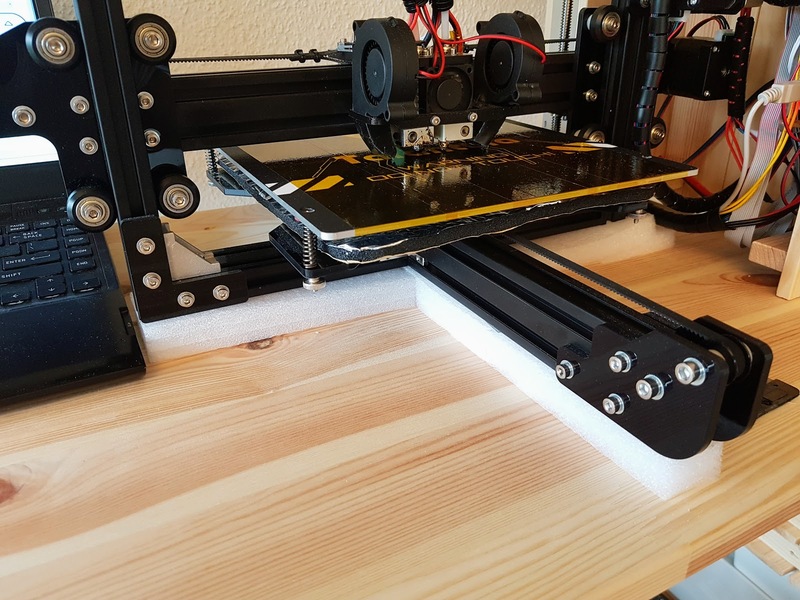 I reduced the amount of noise the printer transfers to the table, as the table was acting as a loud speaker amplifying all noises. 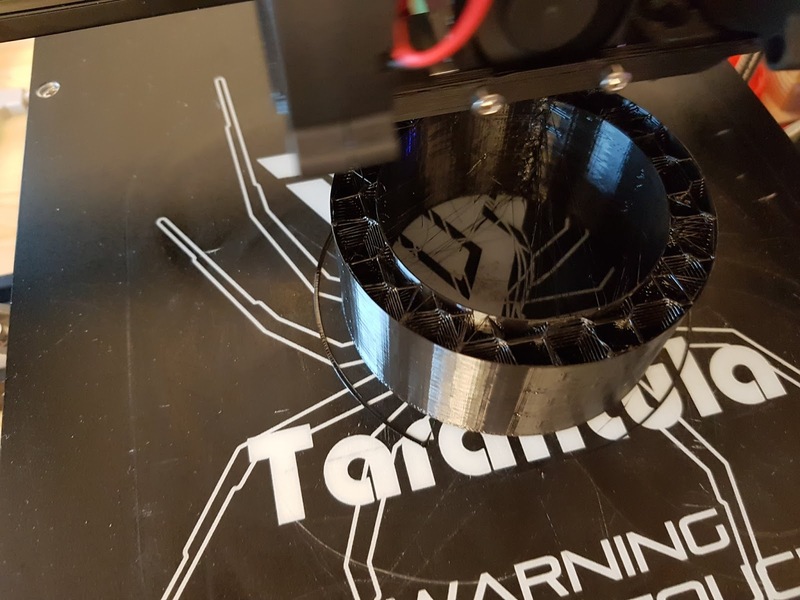 The result was very good with noticeable improvement and with the printer sounding smoother, as if I've had lubricated it. 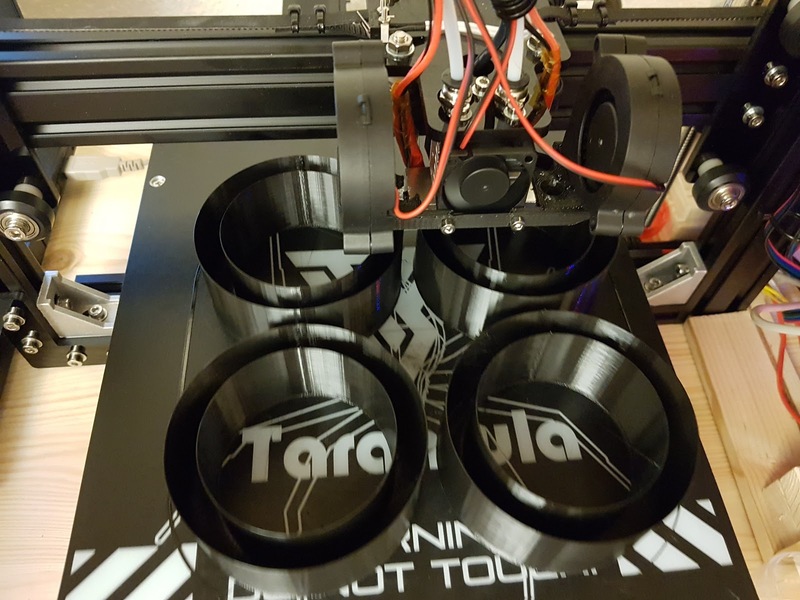 One problem of using foam is that the printer bends to the heavier side requiring an extra conic piece of foam, as you can see on the right. I found people doing lightweight and strong structures with very thin walls filled with expanding foam. See this post. I'm using a cylinder printed in black PETG with 0.4mm walls printed at 245C, 80mm of external diameter, 60mm internal diameter and 50mm height. 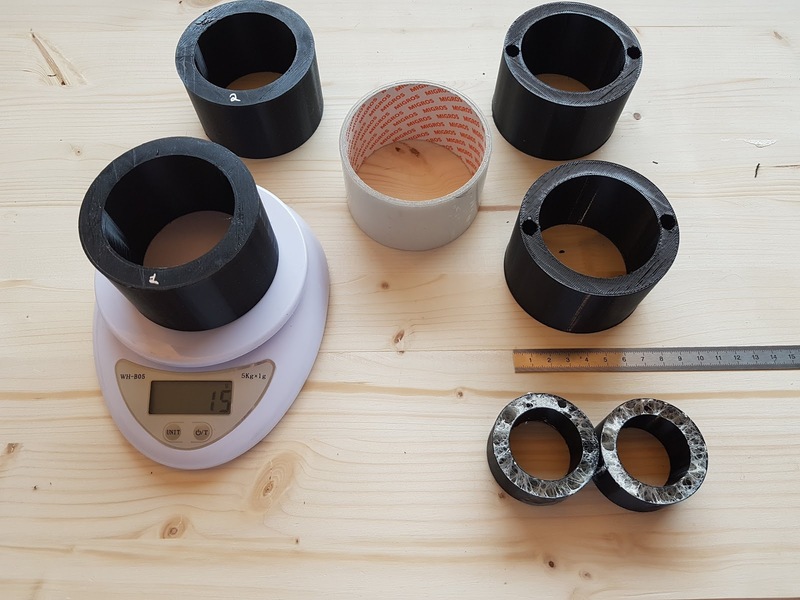 The volume between the cylinders is approximately 93 ml, and each piece weights 14g~15g before adding foam. 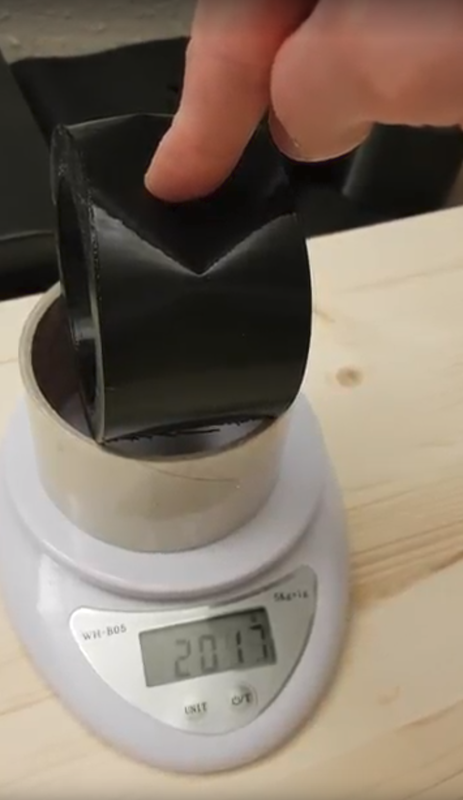 Each piece weights between 14g and 15g before adding the foam. The references I found online are for using professional polyurethane expanding foam made by combining two liquids. These are great for many reasons, one being that you can calculate the amount of foam to fill your pieces. I wanted to try polyurethane expanding foam found on the supermarket. I highly recommend using protection glasses and gloves. These are cheap and can be of great help when handling the messiness of these foams. Latex gloves are not a good choice as the cleaner dissolves the latex. I also suggest you to get a product to clean the mess. 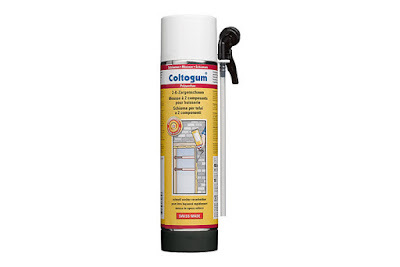 I got a spray from Coltogum for cleaning the gun after use, and it is great to clean the mess and the plastic pipe. 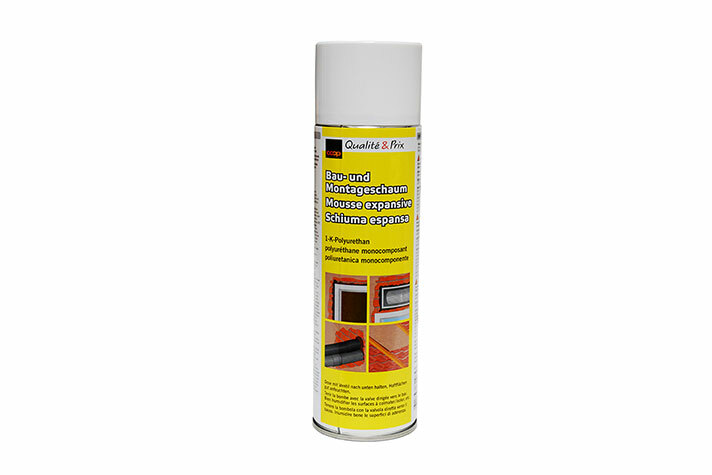 This single component foam require the parts to be wet before applying the foam or it won't expand properly. I tried it dry and it failed. The good is that you don't need to use all the foam at once, so you can store the can for a while and for a few uses. The bad is that the density is very low, making it light but not very strong. The two foams I got from the supermarket are on the extremes of expansion: I got the one with more expansion and the one with the least, and there were many in between. The two component foam has a switch on the bottom that activates the foam and makes the can warm. It is clearly a great product, but after turning the switch you have only about 5 minutes to use it. 6 and a half minutes later and the can is hot and dead, no more foam will come out. So from the 10 L of foam I could have made I used less than 200ml in 2 of my pieces. Another reason the two liquid version is great: reduced waste. 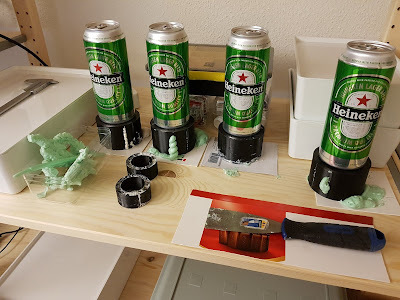 I used the beer cans to make ~0.5kg of pressure on each piece. The holes I used for applying the foam are on the bottom. You can see foam leaking trough tiny little holes. White foam is low density, green is high density. I used too much low density foam and high pressure deformed the interior of the cylinder. 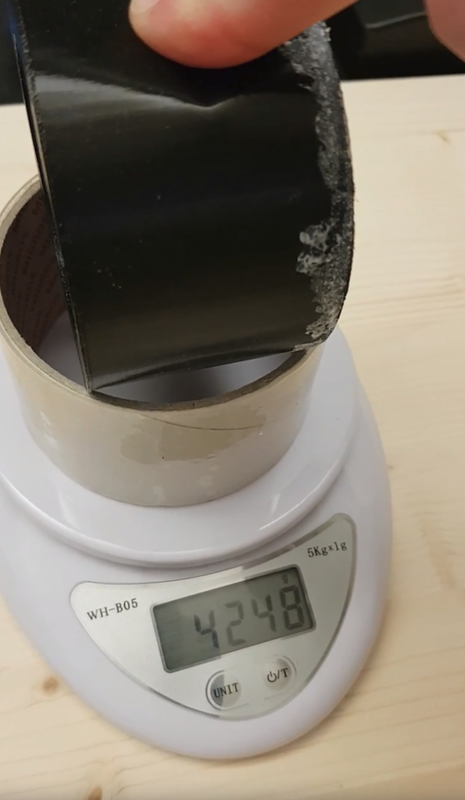 These approximate and imprecise densities probably differ from the specs because the expansion was in a closed environment with some pressure applied to keep the foam from expanding freely. For comparison the densities of PETG and PLA are around 1250 kg/m3. 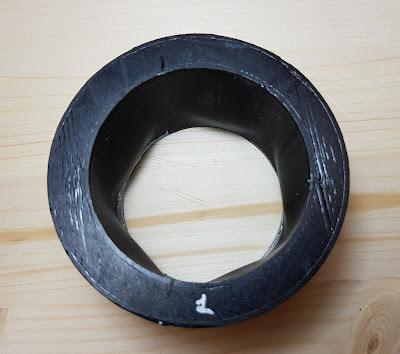 Without the foam, my finger wins(two layers of the wall separate) after ~2kg of pressure. And finally with the high density foam, the limit was my kitchen scale that goes only up to 5kg. Almost no bending. 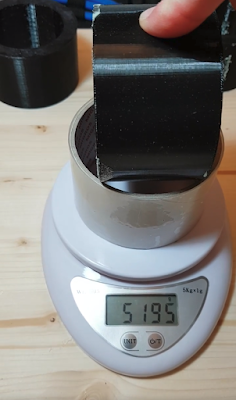 Both the budget single component and the expensive two components foam did increase the strength of the pieces, with results probably mapping to the differences in density. With the 15% fill density the piece is unbreakable, even when I try with both hands. Problem is that the piece is very heavy, and not suitable for flying applications which is what I'm looking for. With the 5% infill the wight is not bad, however the skin becomes rigid and my finger won at ~ 3.1kg. One important difference is that when the 5% fill density piece failed, the affected area was small and the fracture on the skin had approximately 2.5cm instead of approximately 5cm on the piece with the 0% fill density and no foam. 3D Honneycomb with 5% filling density. Interesting result. Needs more testing. I'll order some professional 2 components polyurethane foam to add to the comparison, and I'll try mixing very low fill densities with foam to see if I can get better results. Later I'll share my charts, and maybe I'll make a video with the stress tests. If you have questions or comments, please leave them on the post.